Total has kicked off drilling in Mauritania, taking a chance that the country’s reserves do not only lay offshore. The Ta8-1 well, located in the Ta 8 permit, was spud on October 5 and is expected to take up to 100 days to reach target depth. The drilling campaign is in the northeast region of the country in the Taoudeni Basin near the Mali border. Despite the recent finds south of Mauritania in Ghana and Sierra Leone there is no guarantee Total will strike it rich, which the company is well aware of. 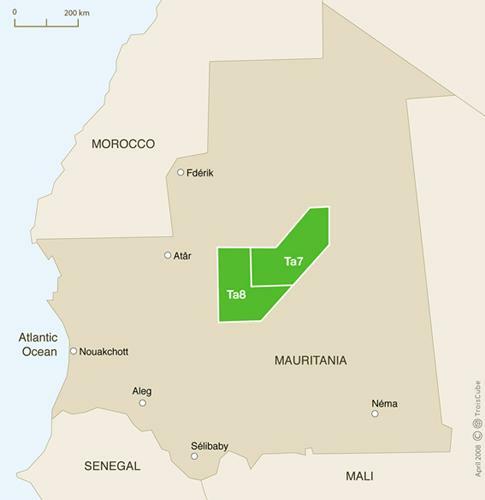 In a Forbes article a company executive said that the company remained cautious about drilling in the Taoudeni, putting its odds of initial success at around one-in-ten. “One should not cry victory," said Pierre Desvoyes, Total’s head of Mauritanian exploration and production. He said it would take some 100 days to drill deep enough to assess the field, and that any production would be years off. “At best, if our estimates are confirmed, we will start production in 2015,” he said in the event of a commercial strike. A series of seismic campaigns have taken place or are in the process of acquisition but no drilling has commenced in the region. Other oil companies involved in onshore Mauritania include Repsol and Wintershall. Total holds a 60% stake and is partnered with Algeria’s Sonatrach and Qatar Petroleum who hold 20% each in the project.